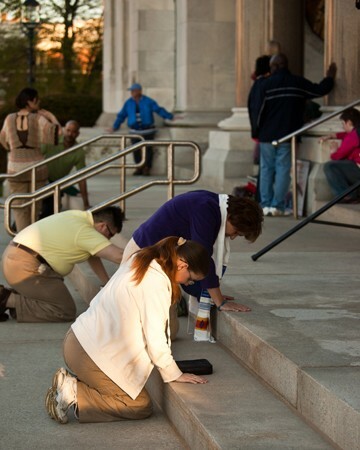 Every day throughout the year there is someone walking and praying in and around our Connecticut State Capitol. These faithful prayer warriors join tour groups, walk around the open areas of both the State Capitol and the Legislative Office Buildings, sit in open House and Senate sessions – all the while praying for our legislators and for bills as they are passed into law. Lucy Snow and Robin Hansen are the co-leaders of this dynamic prayer walking team. There is always a need for more volunteers. Would you like to join our team? Contact Lucy and Robin for more information by filling out this form. If you’d like to prayerwalk once to “test drive”, or not sure how this works, you are welcome to contact the team leaders listed below and we will meet you there.